Believe it or not, the fun is just starting when your campus tour ends! Now you get to take charge and go see what’s on your list, not theirs. You probably saw the staples—the dorms and dining halls, the student center, the health center, the gymnasium, the library, and the rec centers. If you didn’t, go check them out and take your list of questions with you. And as long as you’re taking your own extended tour of things, you might want to venture off campus and take a gander at the surrounding community, too! Even if you tour guide took you there, consider going back and checking out the library more thoroughly. Your guide and your catalog probably gave you the basics—when it’s open, how many books there are, and how many periodicals it receives. Yawn! What you really need to know is how accessible it is, how crowded it gets, how comfortable the study areas are (and how many there are) and whether the environment is even conducive to studying (maybe it’s too cold or it smells like dirty socks). Find out if the library has 24-hour study lounges because there are many that do, and places like that are great to have during finals week! You’ll probably be making frequent visits to the library when you’re a student so you might want to find out how extensive the holdings are in your proposed major area. If there’s virtually nothing, you’ll be spending a lot of time ordering items via interlibrary loan or making copies—which can get a little pricey. Some college libraries are famous for their wealth of available resources, while others are notorious for quite the opposite. Now that you’re unleashed, wander the grounds. Check out the quad, smell the flowers, and meander down the paths that seemingly lead nowhere. Many campuses have a lot of history, marked by plaques or statues on the grounds. Others boast beautiful gardens where students can lay down their books and take a snooze between classes. A large campus will change as you wander around, moving from wide open spaces where students play Ultimate Frisbee to shady areas where a student can strum a guitar under a large tree. This is the time when you can really see who goes where and what sights and sounds a campus has to offer. Take your time and enjoy yourself. Is the college in a suburban, urban, or rural area? Are there bookstores, craft shops, and boutiques? Do the businesses employ college students? Do there seem to be clubs that court a college clientele? Is the center of activity easy to walk to, or do you need a car? Is there public transportation to and from campus and throughout the area? 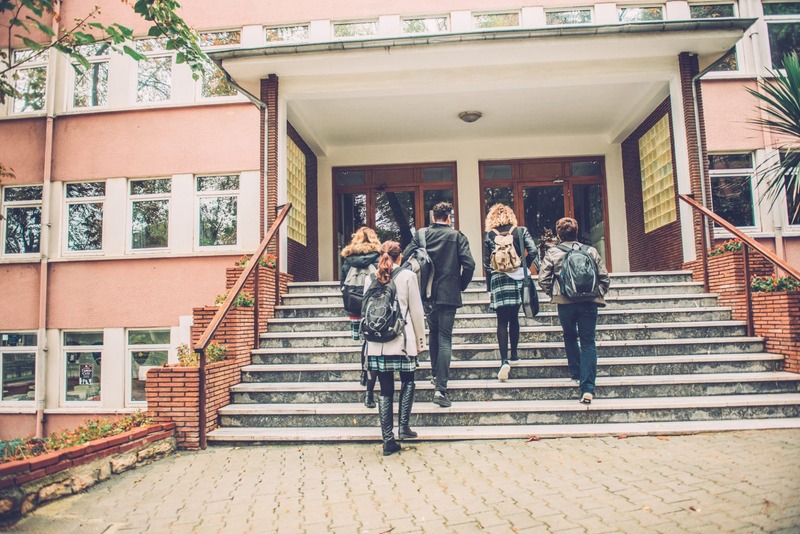 A one-day college visit may not be enough to answer all of your questions, but getting answers to at least some of them can help you choose your college—or eliminate a few from your list. If you have the time and resources, make more than one campus visit to each school you are seriously considering before making your decision. Taking the time to make an informed choice about your alma mater is worth it! After all, you’ll be associated with your college for the rest of your life. Most importantly, your college years will provide experiences and memories that will last a lifetime. Let your college visits help you ensure that you create the best experiences and memories possible.